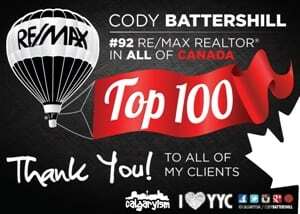 Looking for a REMAX Real Estate Agent in Calgary? Sometimes real estate transactions can be stressful as a buyer or seller, but they don’t have to be that way at all. Having the right REMAX Calgary real estate agent for the job, one who will guide you every step of the way and give you the best advice possible is essential for a smooth real estate transaction every time! Hello, my name is Cody Battershill. 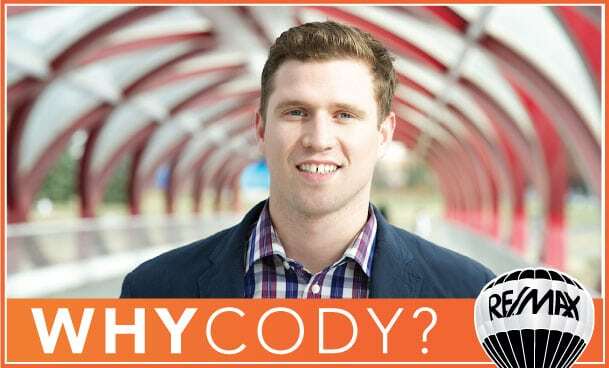 As a top producing realtor with Calgary REMAX House of Real Estate, it is my utmost priority to provide the absolute best level of service and professional representation throughout your real estate experiences. Like I said in my introductory real estate video – “my business is based on promoting and protecting your best interests at all times, while helping you accomplish your real estate goals.” – You’re in good hands when working with me, guaranteed! Below you will find parts of my resume, past client testimonials and featured news articles. If you have any questions about real estate, get the best advice from an experienced REMAX real estate agent today and call me anytime or message me below. 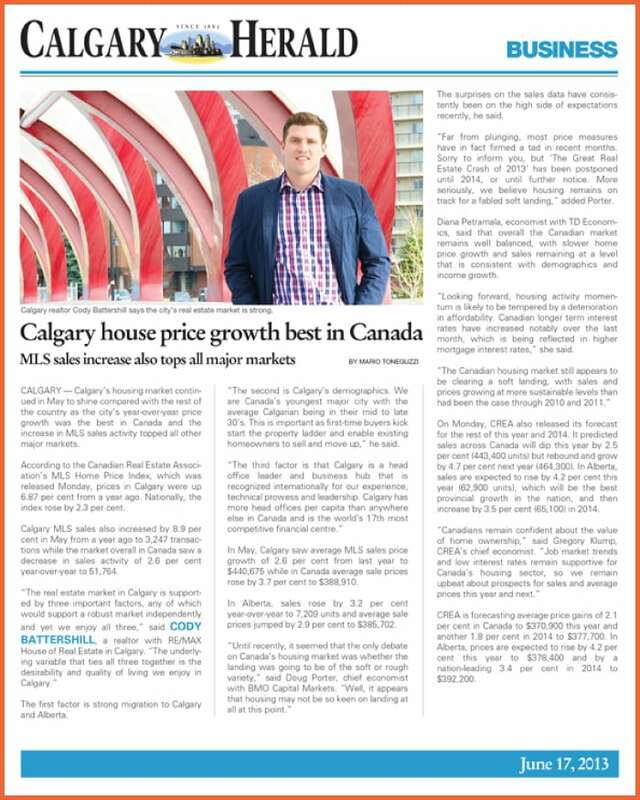 Calgary’s real estate market is always changing. 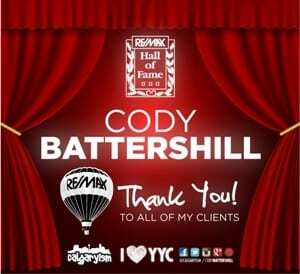 In order to provide the best level of service and advice, I am passionate about updating my education in the field with REMAX Calgary and also specialize in marketing. I am extremely passionate about helping people accomplish their real estate goals. As your REMAX real estate agent, I guarantee you will be satisfied with the level of service, insight into the market and professionalism I provide. Not convinced? See what some of my past clients had to say about their real estate experience with me! But wait, there’s more! See other Past Client Reviews of my services and how I helped them accomplish their real estate goals. The rest of these featured news articles can be seen at Cody Battershill in the News. Check them out! …from an experienced REMAX real estate agent. Call me anytime at 403-370-4180 or message me below for a response within the hour. I am looking forward to helping you accomplish your real estate plans.